If Bhutan has been a dream destination for you, here is an unmissable opportunity to discover all that it has to offer, in the company and care of a very professional team. Fabio will lead you with the Yoga, the Pranayama and the Meditation, the whole way through the 10 day retreat while the travel expert team of Bhutan & Beyond will assure you have the best possible exposure to and experience of this magic land. 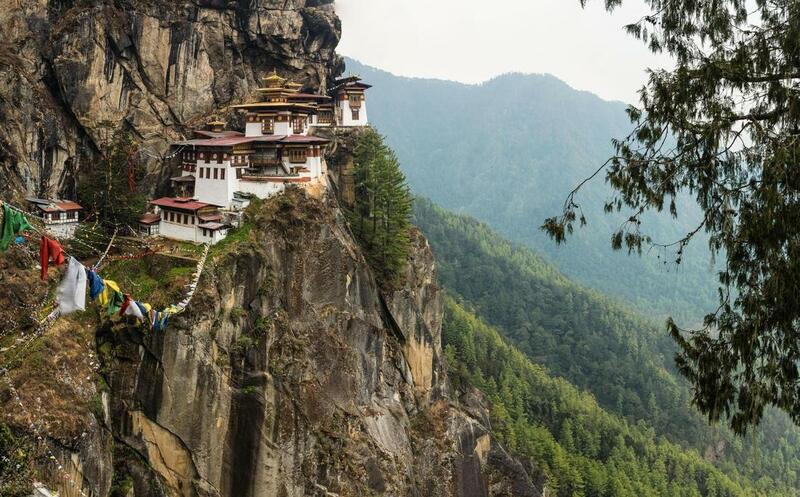 Tucked between Tibet and India, high in the Himalayas, is Bhutan, with its rich culture, deep spirituality, an extraordinary land of wild forests that cover 70% of the terrain, and pristine rivers. In fact, here soars the highest Himalayan Peak, Gangkhar Puensum, at 7570 metres above sea level. The Bhutanese call their country Druk Yul, which means "Land of the Thunder Dragon”, and it has been consciously well preserved as it only opened to outsiders in the 1970s, and still today, tourism is restricted. The country is led by their king and queen, genuinely loved and respected by their people. A unique place where The Gross National Happiness has been declared as more important that the Gross National Product. In line with this high philosophy, there are impressive monasteries to be found on every cliff top, and monks, either in deep prayer or meditation, or playing board games, sharing stories and laughing infectiously amongst themselves. ​Here is an invitation to experience something truly remarkable and rare, please join Fabio on this incredible adventure... Detailed itinerary to interested participants only, at the upcoming information session (date to be advised). • Items of a personal nature: medications, phone calls, laundry, beverages, etc. NON REFUNDABLE DEPOSIT A$500 ONLY to secure your place on this retreat, contact Fabio personally. Outstanding amount to be paid directly to Bhutan tour company. Payment fine print here. Please RSVP Fabio for location details.